On Thursday, the 9th of August the United Nations in Uzbekistan will celebrate the International Youth Day (IYD) jointly with the Youth Union of Uzbekistan and national partners by presenting new and ongoing UN initiatives in health, education, business startups, and participation of youth - to empower them to contribute to the country’s development and achievement of sustainable development goals in Uzbekistan. There were 1.2 billion youth aged 15-24 years globally in 2015, accounting for one out of every six people worldwide. By 2030, the target date for the sustainable development goals, the number of youth is projected to have grown by 7 per cent, to nearly 1.3 billion. With the right skills and opportunities, they can shape not only brighter futures for themselves, but a better, more sustainable world for all, as envisioned in the 2030 Agenda. Investing in the well-being, health and education of young people is not only a matter of upholding their rights, but a pathway to sound development. Through these investments, countries with large populations of young people can realize a demographic dividend, as young people assume more responsibility for shaping more peaceful societies in the years ahead. Currently in Uzbekistan there are 10,400,000 boys and girls under 18 or approximately 40% of entire population of the country. Over 17 million people, that is 64% of population are under 30. 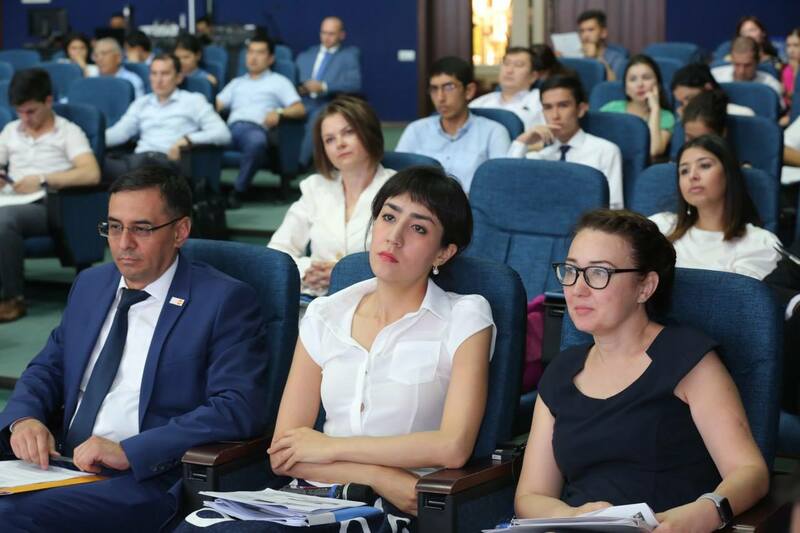 The State Youth Policy of Uzbekistan adopted in 2016 makes clear commitment to provide youth with quality education, health services, and employment, to guarantee their rights, freedoms and interests so that they effectively participate in the implementation of the state youth policy, in shaping their own future. The State Policy also takes holistic approach to youth development by providing them with spaces to adopt healthy lifestyle, enjoy leisure activities and e ngage in sports. “Having youthful population represents a great potential to leap the country’s economic growth. In order to realize such a potential, the Government has to implement policies and programmes to make sure that young people will grow healthy and educated in order to engage in productive employment later on. We also need to make sure that there will be a balance between the economic growth and the environment and that everybody will benefit from such growth. This is why the UN country team in Uzbekistan commits to working with and for young people!”- stated Ms. Mieko Yabuta, UNFPA Representative in Uzbekistan, in her opening speech. Today’s joint UN-Government observance of the International Youth Day is used to showcase how the UN in Uzbekistan is working with and for youth of the country and present initiatives to address key State Youth Policy priorities on health and healthy lifestyles, education, employment, justice and participation, and facilitate discussion with partners on areas for possible cooperation. Youth Day celebrations will continue on Saturday, August 11 with a cycling sport event to promote healthy lifestyle among girls and women. The event will take place at “Milliy” (Bunyodkor) stadium and organized with Women’s Committee and Cycling Federation of Uzbekistan. On Sunday, August 12, UN social media zone will broadcast Live Facebook session, featuring representatives of youth organizations, media personalities, women bloggers and UN experts, who will be sharing experts' opinions on youth engagement, leaderships, skills, empowerment, challenges and opportunities faced by youth.